Club Improv highlights the top 4 contestants on their website as the third week of competition comes to a close. The competition closes on September 12, 2018. Ricky Glore takes over the lead in Club Improv's online comedy competition in week three. As the third week comes to a close, Ricky Glore takes over the lead in Club Improv's online comedy competition. The competition opened on June 11, 2018 and traffic to the site has been increasing steadily, as more contestants encourage their friends and fans to vote for them. To watch Ricky performance, as well as all four of the top contenders, you can go to http://www.ClubImprov.com. If you like what you see there, then Club Improv says that there are many more contestants to watch on their Contest page where the competitors have linked their comedy videos. The ultimate winner will be the comedian that's able to get the most votes. Each viewer on the site can vote 3 times, but there's no obligation to do so. In fact, most of the 60,000 plus visitors have thus far elected to just watch the new videos, probably in anticipation of using their votes when they see all of the comedians. To vote, viewers just go to the site and click VOTE. If you don't see your favorite comedian already in the competition, or you know someone who's trying to break into the field, encourage them to enter at http://www.ClubImprov.com. According to Peter Panneri, one of the sponsors of the contest, the site is pure enjoyment. "The variety of material has continued to surprise all of us at Club Improv," Peter went on to say. "There is clearly a lot of talent out there for all of us to discover." The final winner will earn a cash prize of $1,000 to help them further their career, and the first 100 contestants will get an Amazon gift card for entering. Club Improv says that it takes less than 10 minutes to enter the contest, and that the exposure will be more than worth if for them. The company will be adding more competitions in the future, and the long term plan for the site will be to allow clubs, corporations, festivals and private parties the opportunity to book their favorite comedians, directly. Club Improv is also planning to add a shop for unique gifts in the next several weeks. They said they are still trying to analyze the traffic coming in with Google analytics, which right now seem to be pointing to a largely male audience in the 18 to 34 year-old category, with females in that same age category averaging around 40%. Please show your support for these great comedians, by visiting Club Improv and voting for your favorites. You can also add some words of encouragement for each contestant, but Club Improv will be monitoring those comments. Please contact Club Improv for more information. Club Improv is a DBA of Westfield Enterprises, LLC. Westfield Enterprises, LLC is invested in several start-up ventures and loves working with entrepreneurs. 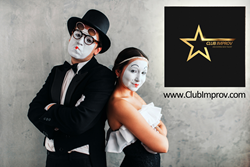 Club Improv is simply a comedy competition site that is free to enter, awards prizes, and helps the world discover new comedic talent.